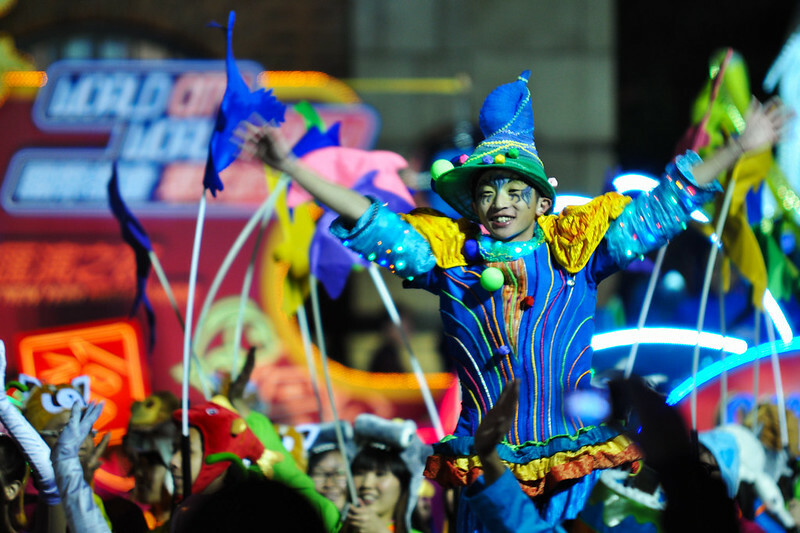 Hong Kong’s 17th International Chinese New Year Night Parade was themed "World City. World Party". It was organised by the Hong Kong Tourism Board and sponsored by Cathay Pacific. The parade through Tsim Sha Tsui is arranged with dance and acrobatic displays, traditional Chinese lion and dragon dances and a procession of colorful and vibrant floats. Beginning at the Harbour Front the parade route passes the Star Ferry Pier before joining Canton Road, then Haiphong Road and ending at the bottom of Nathan Road. Image published by Michael Elleray on 2012-02-05 11:49:11 and used under Creative Commons license.